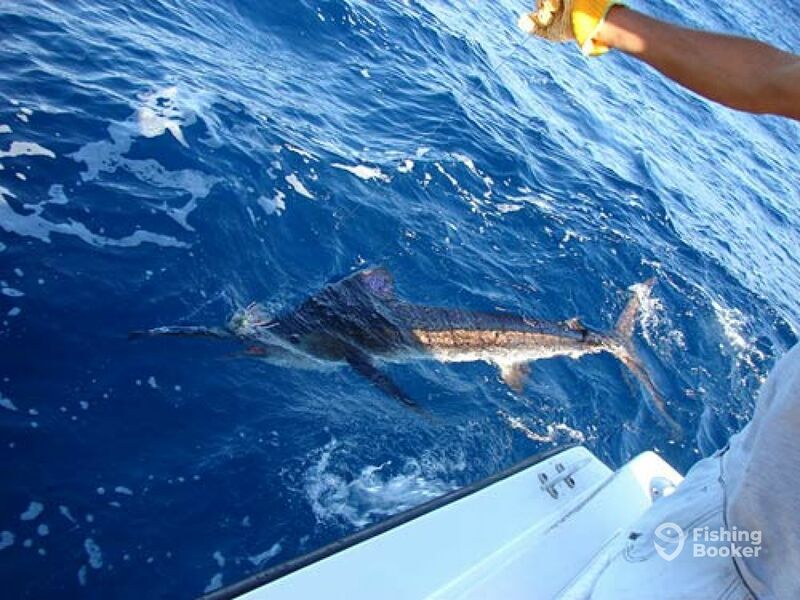 Fishing in the world famous El Budster Jason Frost party from BC, Canada catches and releases two Striped Marlin 120 lb. and 140 lb. They were attracted and caught on the live Big Eye Caballito. The fighting time were 25 and 45 minutes. 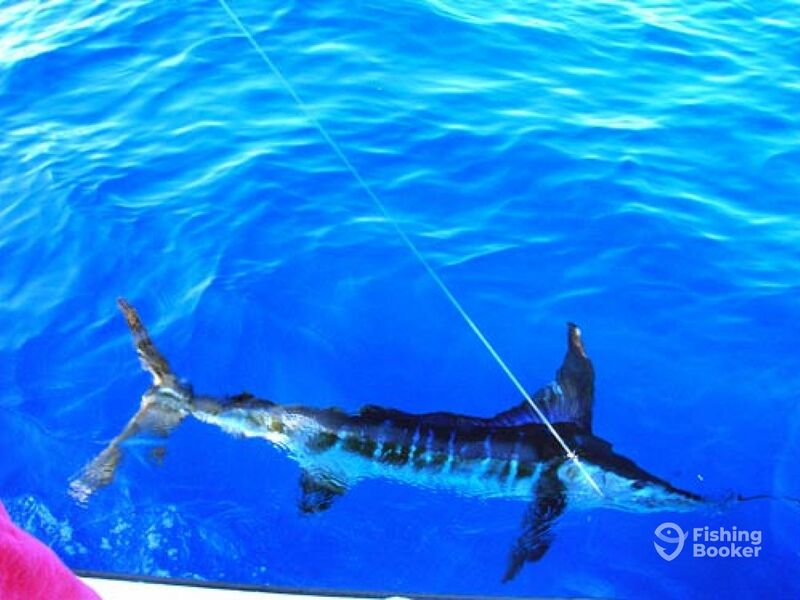 They were caught 16 to 18 miles from Cabo. The wáter temp. was 73-75 degrees. With over 35 years of experience, Captain Salvador is still as enthusiastic as ever about fishing because, as he says, it is simply fantastic. He looks forward to heading out on the water every day, and along with his experienced and friendly crew, can't wait to introduce you to the fantastic fishing in this beautiful location.